Butterflies and Moths share many common things such as bodies, wings, resting posture, cocoon and they both belong to the order Lepidoptera. Here is the list most beautiful and largest species of butterflies and moths found in India. Kaiser-i-Hind is the most rare species of swallowtail butterfly found in Nepal and Himalayas in India. The butterfly also found in northern states of Assam, Sikkim, Manipur and a keystone species of high altitude forest. Southern Birdwing is one of the largest and striking swallowtail butterfly endemic to Western Ghats of South India and is the state butterfly of Karnataka. 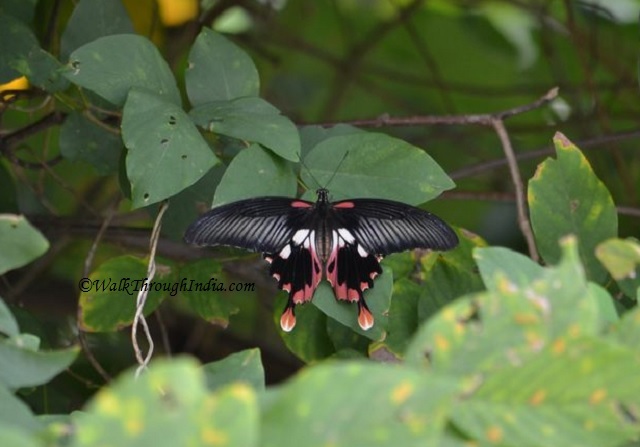 Blue Mormon is a butterfly and state butterfly of Maharashtra known for rich velvety black and most common in heavy rainfall areas of the Western Ghats. Papilio bianor species of butterfly is the state butterfly of Uttarakhand and better known as West Himalayan common peacock. 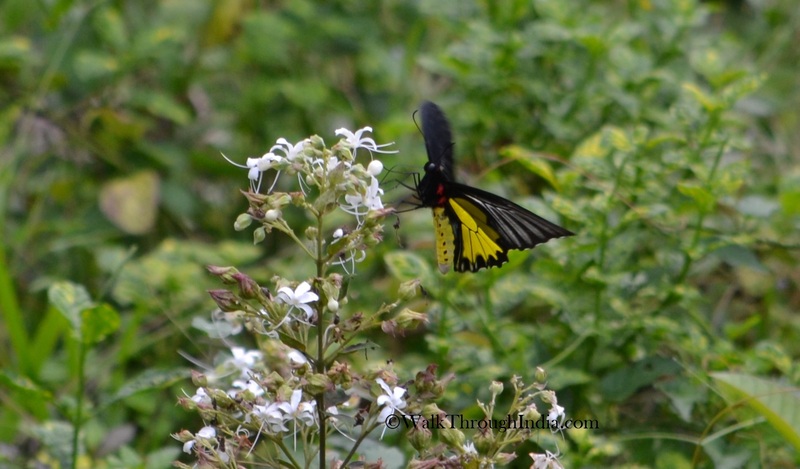 Common Mormon is a swallowtail butterfly and one of the most Common butterflies of India. Mormon butterfly known for the mimicry of colours of common rose and the crimson rose. Both Butterflies and Moths share distinct behavior in terms of appearance, habitat and time of activity. Most moths are nocturnal while butterflies are diurnal and fold their wings during resting posture. Atlas Moth is the largest species of moth found in India and forests of Asia. 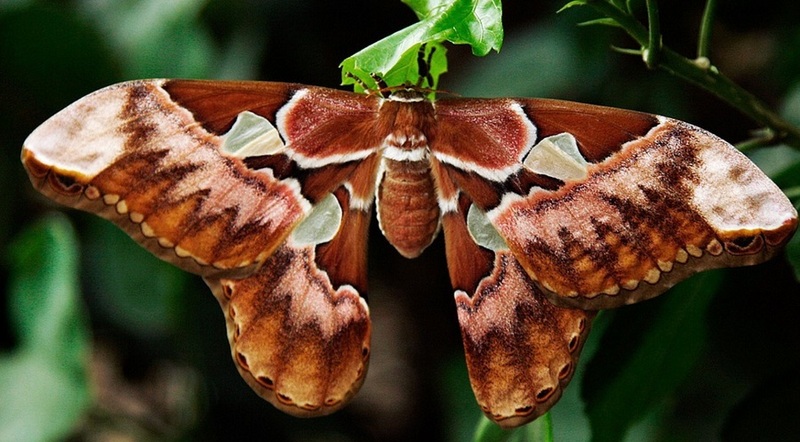 The Atlas moths are cultivated for their silk in India along with Indian tasar silkmoth. Attacus taprobanis is another large moth of Saturniidae family and very similar to Attacus atlas, native to southern India. 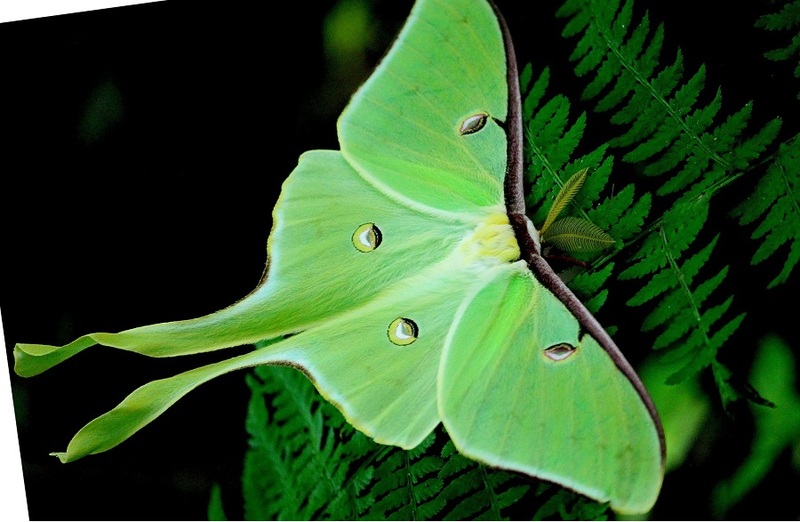 Indian luna moth or Indian moon moth species is popular and beautiful moth from Asia, known to fly mainly at night. 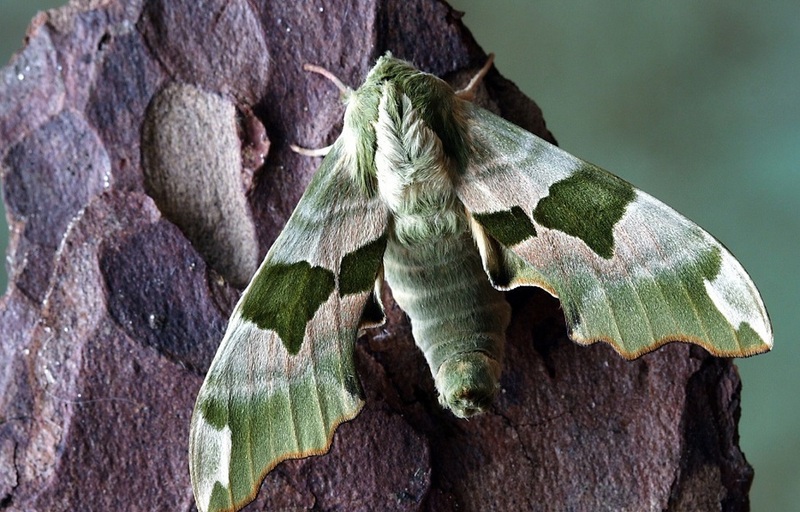 Army green moth or oleander hawk moth is a migratory species and feed on a great variety of flowers, found on Alstonia scholaris trees in India. Assam silkmoth is found in northeast India mostly in Assam where cultivated for muga silk which is one of the varieties of tussar silk. Indian tasar silkmoth cultivated to produce tussar silk in India and feeds mainly on Terminalia or shala trees. Tussar silk also known as wild or kosa silk are known for rich texture and natural deep gold colour, India is the second largest producer of tussar silk and produced Bhagalpur Sari.